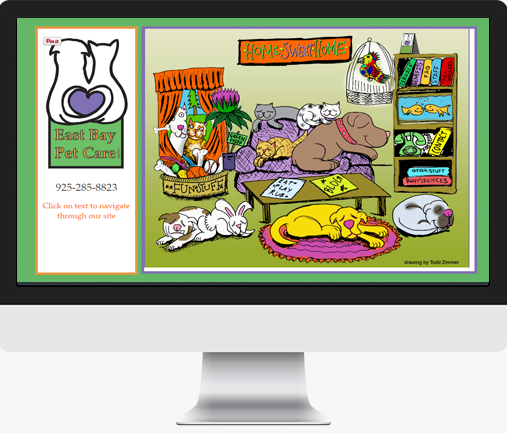 East Bay Pet Care is a pet sitting company in the San Francisco Bay Area. The website idea all started with an illustration created for the client. We created an interactive flash site for the illustration, designed and built the site around the illustration concept. Created the additional art for the website’s bookcase menu, the paw prints throughout the site and funky fonts. The site also has a custom design wordpress blog which we maintain for the client.